This activity illustrates the relationships of mass, potential energy, and kinetic energy with marble races. It features four tracks that are the same height but have different slopes. Students roll identical steel marbles down the tracks and mark how far they roll. They’ll see that regardless of velocity, two objects of equal mass that have the same amount of potential energy (height) produce the same amount of kinetic energy (distance traveled). 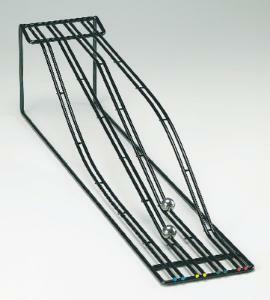 The track unit is made of metal wire and comes fully assembled. 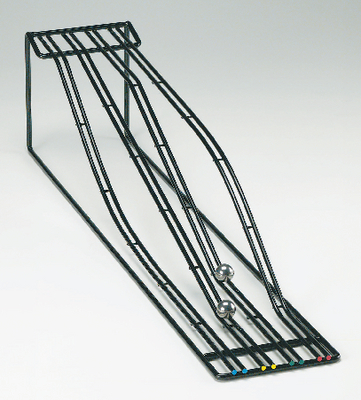 Ordering information: This set includes two 3/4" steel marbles, instructions, discussion of results, and suggestions for follow-up activities.